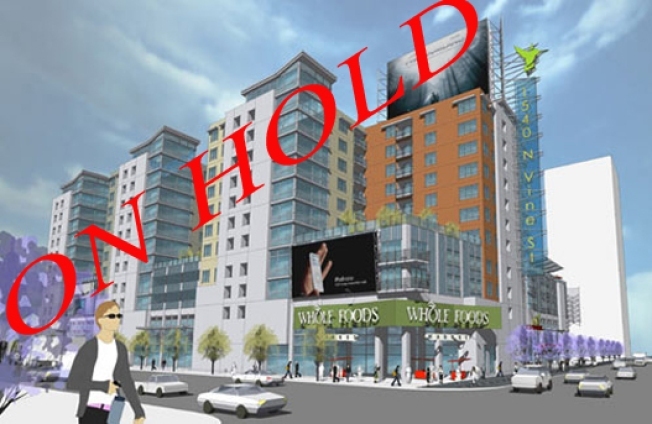 It's Official: Hollywood Whole Foods "On Hold"
There's been a lot of rumors kicking around that the planned Whole Foods at Selma and Vine—to be located in the space of Legacy Partners under-construction apartment complex next to the W Hotel—is on hold, and today those rumors were confirmed. A press representative for the grocery store chain states, "The Whole Foods Market planned for the southeast corner of Selma and Vine is on hold until the market takes a better turn. We'll make sure to keep you updated on all new developments as they arise."